Many consumers do not know that they have options when it comes to choosing their energy provider. 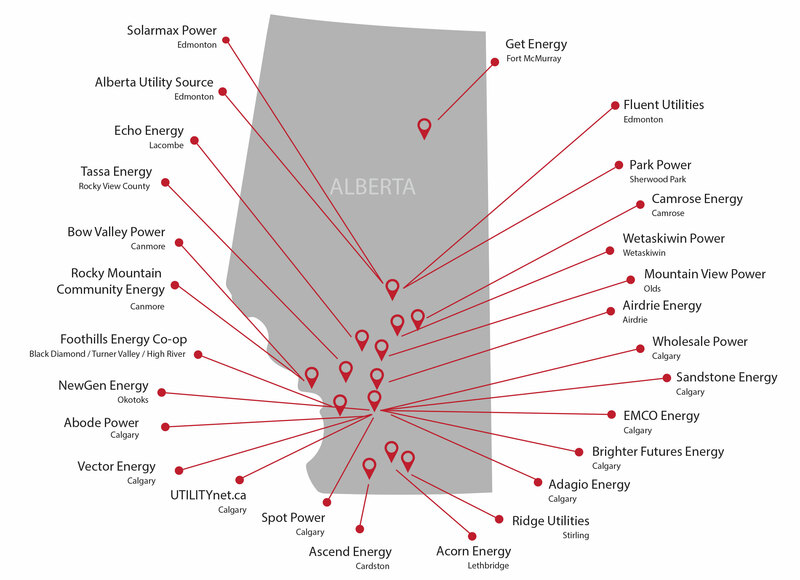 Albertans are not limited to large companies to supply them with their electricity and natural gas. Since 2009 we have helped introduce smaller, Alberta based companies to the market, which means more opportunities for consumers to save money. Reasons to switch to an Energy Marketer within the People's Utility network. Life is increasingly complex. Your utilities shouldn't be. At Wholesale Power, we want to make things simpler. With one low monthly fee homes and businesses throughout Alberta can access electricity and natural gas at wholesale prices. Why pay more with the big companies when you could save with a truly local business built by and for Albertans.